Nelson, Harold (2014) Self-organizing a strange attractor. In: Proceedings of RSD3, Third Symposium of Relating Systems Thinking to Design, 15-17 Oct 2014, Oslo, Norway. Systems are complex, designing is complex. 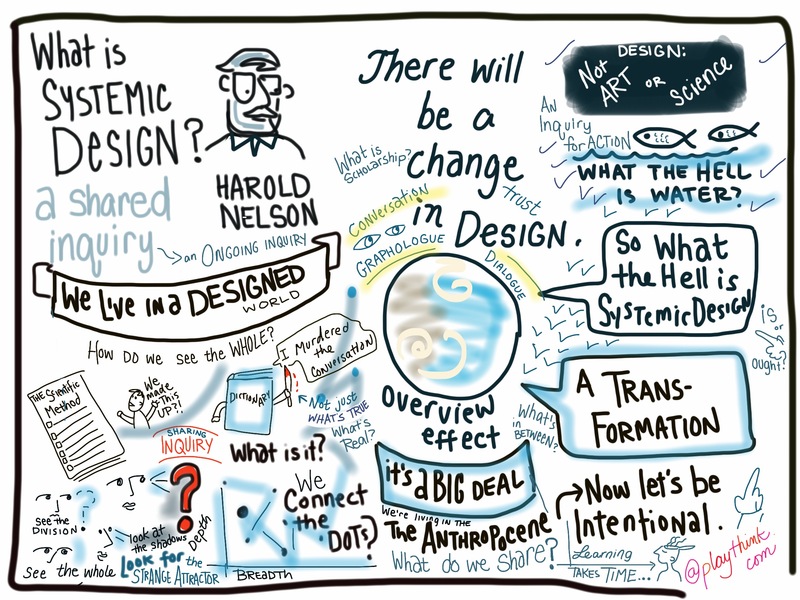 Systemic designing is even more complex. Complexity is not a negative condition. In fact it is a necessary thing if the full richness and potential of anything is to be realized. Giving order and form to systemic design is analogue to self-organizing a strange attractor. Forcing form onto the complex milieu of systemic designing doesn’t work. Forms that work in other contexts—e.g. 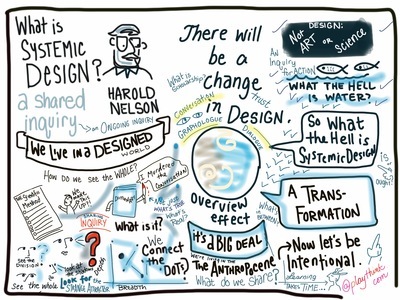 art, science, and the humanities—are ill fitted when pulled over systemic designing. A more tailored form will take shape through a process of self-organization—a type of dialogue that gives order and form to complex things. In this Keynote I will talk about a few of the habits of thought that hinder the initiation and flow of this self-organizing dialogue and will propose some new habits that would support it. I will give examples from the keynotes, conversations and presentation from the Symposium that are supportive of self-organizing behavior. An attractor is a set of properties toward which a system tends to evolve, regardless of the initial conditions of the system. Self-organization is a process where some form of global order or coordination arises out of the local interactions between diverse components of an inchoate system.